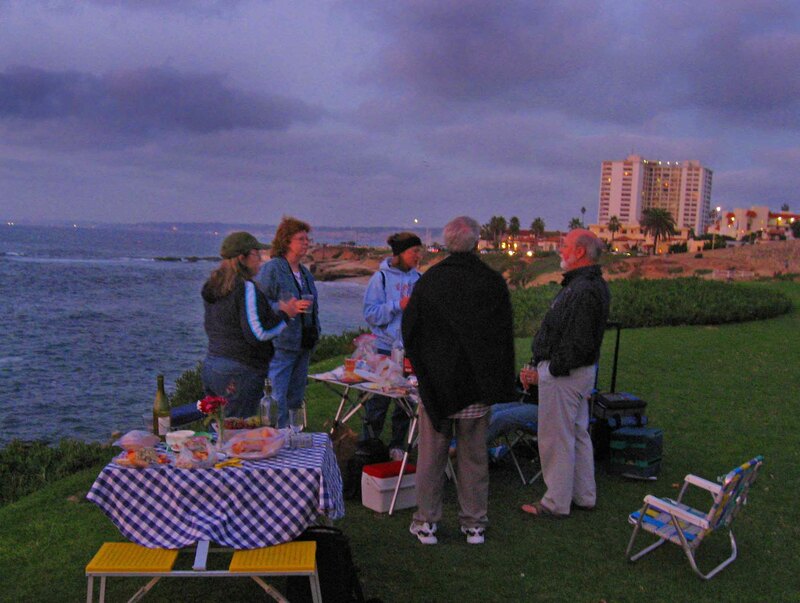 We always enjoy a late afternoon picnic with friends at La Jolla to include a beautiful sunset. Yvonne (left in the picture) loves a Temecula wine, Almond Champagne, from Wilson Creek Winery. 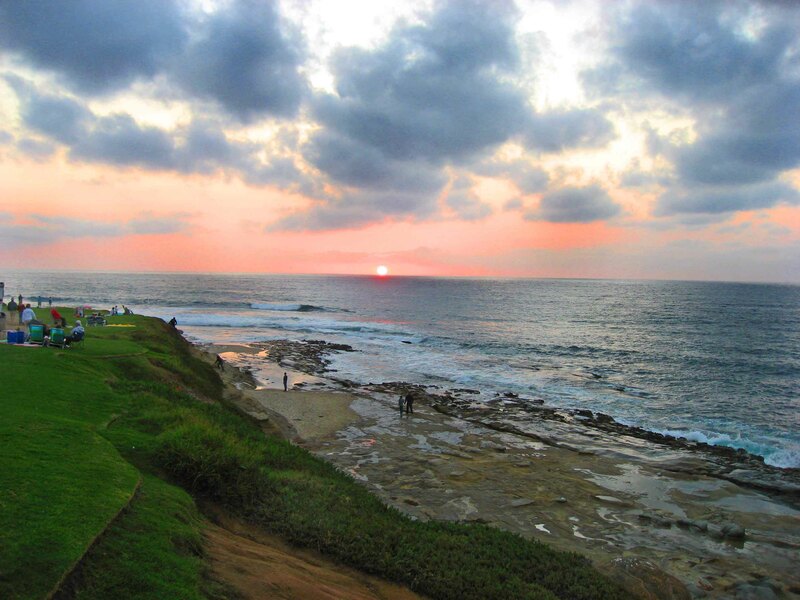 I think sunset calls for a good sauvignon blanc like Frog’s Leap. We have not yet seen a green flash but still looking. Looking south from PB to Mission Beach and Ocean Beach you can see Point Loma. This Western Gull enjoys a beautiful sunset at Pacific Beach. 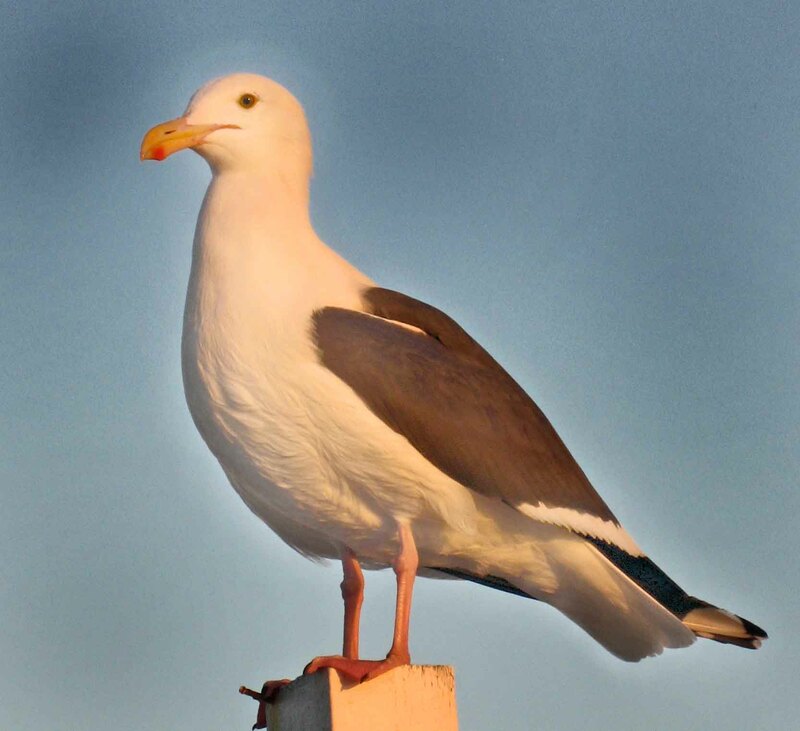 The Western Gull was one of the antagonists in Alfred Hitchcock’s famous movie, The Birds, which was filmed in Bodega Bay, California. 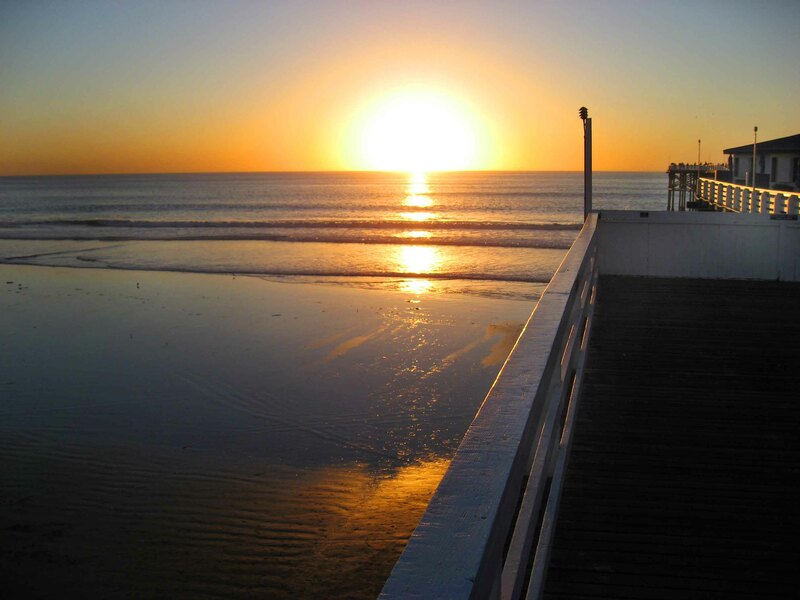 The Crystal Pier Hotel is one of the unique places in San Diego to enjoy sunset. 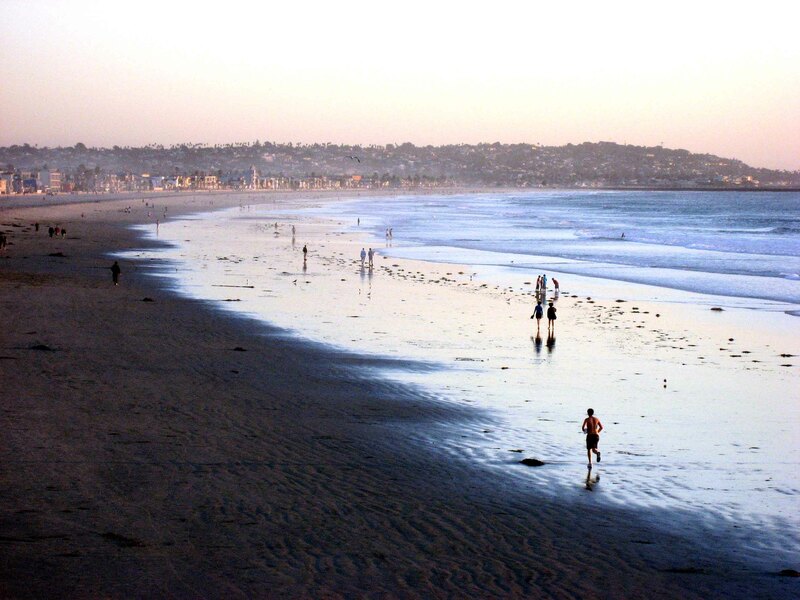 The Hotel is made up of a series small quaint cottages that are located directly on the Crystal Pier. Each cottage is directly above the ocean and when a big wave hits the Pier, you can feel it, but there is nothing like sleeping over the ocean. The interior of the cottages are well decorated with a maritime theme and they are equipped with a living room and kitchenette. If you want to stay make reservations well in advance.